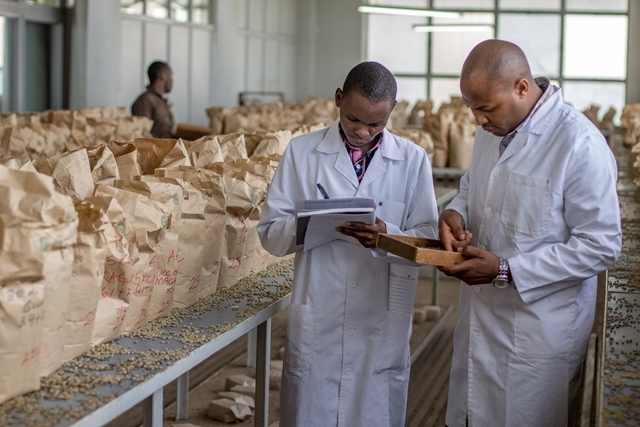 Kenya coffee is produced by small scale farmers who form co-operative societies and plantation growers who own their own farms with representation of 60% and 40% respectively. 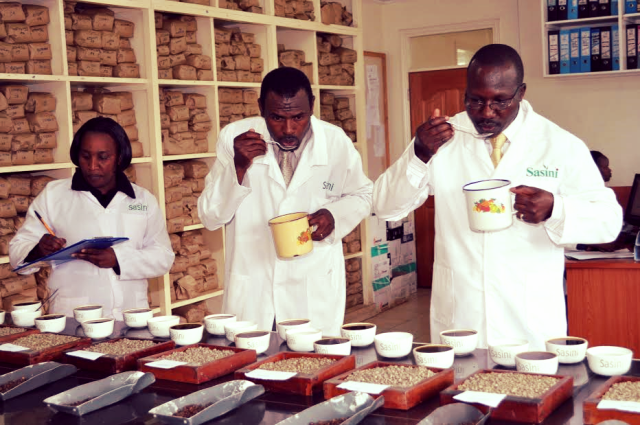 Almost all Kenyan coffee is processed by a wet method, which guarantees the best quality. Growers pick only the red-ripe cherry. At the factory, the cherries are sorted before processing and unripe, overripe or diseased cherries removed. The cherries are then pulped to remove the outer skin. The slimy sugary coating (mucilage) – which remain on the beans is removed through fermentation process. Fermentation of parchment should be completed within 36 hours. The parchment is now ready for sun drying on drying tables where it is regularly turned to obtain the bluish color for which Kenya coffee is famous. Drying the coffee is the last process on the farm. When it is fully dried the coffee is bagged and ready to be sent to the mills. Prepare and remit coffee warrants to the traders after payments have been made. 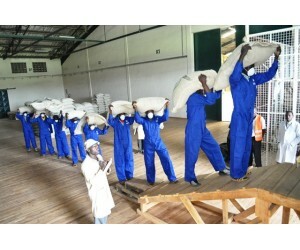 Arrange for warehousing of coffee within Nairobi county. 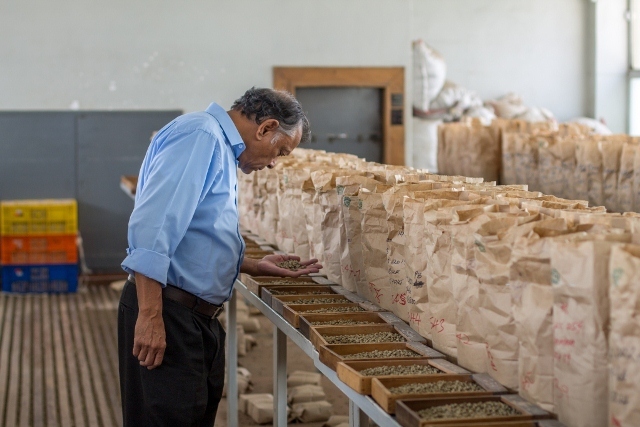 Export coffee to overseas roasters and import trade or roast for local consumption. Prepare warrants for coffees on offer at the auction on behalf of the Marketing Agents.